You may have heard about RDAs and have decided that you want to get one. Or maybe you’ve heard the term RDA, but aren’t quite sure what they are. Either way by the end of our list of Best RDAs in 2019, you’ll have the answers that you’re looking for. Below you’ll find a list of the Best RDAs in 2019. These RDAs have been selected based on their ease of use, vapor production, flavor intensity, build quality, and overall experience. A combination of two of the most popular RDAs of all time, the Drop RDA & Dead Rabbit RDA, Hellvape’s Drop Dead RDA brings you a dual coil RDA with the best features from both. A collaboration with Heathen and The Vapor Chronicles, the Drop Dead has the same four post deck as found on the Drop RDA, and gives more than enough room to build the largest, and most complex coils. The airflow on the Drop Dead RDA consists of 14 small airflow holes on each side of the tank (that’s 28 airflow holes in total!). These airflow holes and their arrangement are unlike anything seen on either the Drop or the Dead Rabbit RDA, and are fully adjustable to suit your preference. Just like it’s parents, the Drop Dead RDA comes with a bottom feeding 510 pin for easy squonking use. You also get two drip tips with the Drop Dead RDA: one 8mm wide bore resin drip tip, and one 8mm wide bore 810 frosted drip tip. Overall, the Drop Dead delivers flavor and performance that is absolutely top notch, and comfortably claims its place as the best RDA of 2019. The Hellvape Rebirth is a collaboration with Mike Vapes that brings you yet another great flavor RDA. The Rebirth is a 24mm dual coil RDA and features a spacious two-post build deck with side-mounted screws and large 3.5mm by 2.5mm terminal holes for an easy to install build. Simply use the included tool to trim the legs to 6.5mm, drop in your coil, and tighten the screws. While best used with dual coil setups, the Rebirth can also be used with just a single coil. The Rebirth has a honeycomb style airflow cap that can be adjusted to your preference and there are 16 airflow holes per side. This gives you a lot of different configuration options and allows you to find an airflow setting that is just right for you. When you inhale, airflow is directed through the holes and upwards towards your coil and drip tip for stunning flavor and large clouds. The Rebirth RDA comes with both a standard 510 pin as well as a bottom-feeding 510 pin for squonking and its deep juice well allows you to squonk or drip heavily without worry. The design of the Rebirth and its flavor production are both top notch and you can definitely tell that Hellvape & Mike Vapes put a lot of time and effort into designing this RDA. Now it’s your turn to put some time into vaping it! The aesthetics of the Rebirth are as amazing as its functionality and its superb flavor and squonk compatibility make the Rebirth a no-brainer. For anyone looking to get a great dual coil RDA, check out the Rebirth — you’ll be pleasantly surprised, guaranteed. A collaboration between Vaping Bogan and Vandy Vape, the Bonza V1.5 is a revamped and improved version of the legendary Bonza RDA. This dual coil RDA features a dual post, clamp-style deck that is very easy to build on. And thanks to the large, beefy clamps you’re able to fit large and complex coil builds without a problem. For airflow, the Bonza V1.5 has fifteen small airflow holes on each side of the tank. These are arranged in three rows of five holes. By turning the topcap of the Bonza V1.5, you can adjust and close off the airflow in a variety of ways. You can close off rows or columns of holes, or close off individual holes one at a time. This level of customization for your airflow is unrivaled. The domed chimney ensures concentrated and flavorful hits, and the 9mm deep juice well means you don’t have to be careful. You can squonk or drip to your heart’s content, without having to worry about leaking or flooding. And don’t worry, the Bonza V1.5 includes a bottom feeding 510 squonk pin so that you can squonk right out of the box. The Bonza V1.5 was made with dripping, simplicity and ease of building in mind and comes from two respectable names in the vaping industry that you can trust. The Pulse V2 RDA was released with the Pulse Dual 220W and features an awesome airflow system. There are three different airflow rings that can be switched depending on the coil you’re using or airflow style you prefer: six-hole airflow tubes for single and dual coils as well as an open dual slot airflow. These changeable airflow rings are reason enough for the Pulse V2 to make this list of best RDAs 2019, but it gets even better. The deck on the Pulse V2 is a “floating-style” design that makes it easy to use either single or dual coils. The way the deck is constructed allows you to easily position larger coils and the side-positioned screws make it easy to secure them in. 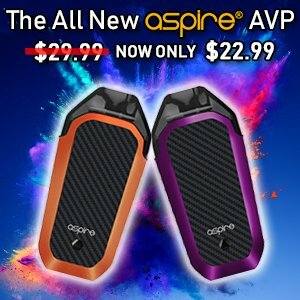 While the Pulse V2 doesn’t come in as many colors as some of the others on our list, it certainly still performs at a top level. When you combine the build deck with the option of choosing your airflow ring, you really can’t go wrong with this RDA. So for those looking for an efficient dual coil RDA with multiple airflow options, the Pulse V2 is a great choice. The Pulse X is a great dual coil RDA, and is the latest release from Vandy Vape and Tony B. The Pulse X RDA is 24mm in diameter, and features a unique X-shaped build deck. This build deck consists of four terminals, and features two posts that are stacked on top of each other. This design allows you to position your coils either vertically or horizontally. There are six airflow holes on the Pulse X RDA and they are fully adjustable. You can have the airflow fully open, half open, or anything in between. The flavor that you get from this RDA is incredible, and it will produce some very dense and rich clouds. The Pulse X is fully squonk ready, but squonks in a very interesting way. When you push your squonk bottle, juice is pushed up and through the center of the posts, and out through two holes built into the top. The result is an RDA that will drip juice directly onto your coil when you squonk, and eliminates the need to drip completely. For a superb squonking dual coil RDA, check out the Pulse X RDA. As functional as it is beautiful, the Dead Rabbit is a dual coil RDA produced by Hellvape. It features a unique top-terminal, four-post build deck design that allows you to insert your leads without having to do any precise measuring. Simply drop your coils in, and trim your leads from the bottom after securing them. Voila! At 24mm in diameter, the Dead Rabbit RDA should give ample room for most single or dual coil builds and has a 5mm deep juice well. With gold plated terminals and side-mounted screws for securing your leads, this deck will make building a fair bit smoother and easier. The airflow on the Dead Rabbit RDA is top slanted, and adjustable for either single or dual slot airflow. This airflow setup maximizes flavor intensity and minimizes leaking for a stress-free vaping experience.If you’re into squonking, the Dead Rabbit also comes with a gold plated bottom-fed 510 squonk connector, and is hybrid compatible. You can get the Dead Rabbit RDA in more than eight different colors, and the included resin drip tips add a beautiful and unique finish to the tank. The Dead Rabbit is known to give draws with impressive flavor and is definitely a must have in any vapers RDA collection. Do yourself a favor and get one now because if you don’t, you’ll end up getting one later anyway. So why wait? The Dead Rabbit is still one of the best dual coil RDAs of 2019. Augvape’s Templar RDA is 24mm in diameter, and meant for use with dual coil builds. The build deck utilizes a velocity clamp snag system, and features two posts. Each post has a single large terminal opening, and this design means that you’ll be building one coil on each side of the posts. There are 6 airflow slots on each side of the Templar, three large slots and three smaller slots. The stepped design of the top cap allows you to adjust the airflow to whatever setting you desire, and there are many different arrangements. The Augvape Templar is fully squonk ready, and comes with a bottom feeding 510 squonk pin included in the box. It also comes with a frosted mid cap as well, for a different look and flavor profile. When you look at this RDA, you’ll find yourself wanting it before even knowing the specs. This tank comes in many gorgeous colors and has an attractive modern styling. The Augvape Druga is a dual coil RDA, and the deck is fully 24k gold plated to ensure high conductivity and performance, while providing a stunning look at the same time. This dual post build deck is great because it features a “clamp post” system. Here, the user inserts the coils into the posts and then screws down the nuts to clamp down the coil leads. Afterwords, lightly tighten with a screwdriver to finish. And with 2.5mm by 3mm holes in each post, there’s more than enough room to fit complex dual coil builds on this RDA. The Druga RDA has a 6mm juice well, and mid-positioned dual adjustable airflow slots that deliver airflow directly to the coil. This is perfect for massive clouds, and the Druga is known as a cloud chasing, flavor RDA. This RDA comes with an 810 fitted 10mm bore ULTEM and delrin drip tip, so you can choose whichever you like better. If you’re looking to produce some gigantic clouds with massive flavor, pick up the Druga RDA. You’ll be clouding up the room in no time. The Recurve is a single coil RDA, and is a collaboration between Wotofo and popular YouTube reviewer Mike Vapes. This 24mm RDA is designed for maximum flavor, and features a bow-shaped, postless build deck. There are four terminal openings to accommodate either forward or reverse wrapped coils, and the build deck has a concave shape that maximizes airflow and works to deliver incredible flavor. The airflow on the Wotofo Recurve is fully adjustable, and consists of six holes on either side of the RDA. If you position your coil correctly, these holes will funnel air directly under and around the coil, giving you big clouds and intense flavor. The juice well on the Recurve is a bit shallow at 4mm deep, so you do have to be careful not to over drip. And for those of you who like to squonk, the Recurve RDA comes squonk ready with a bottom-feeding squonk pin. The Recurve is available in a variety of different colors and finishes, and is our pick for the best single coil RDA 2019. The Drop Solo is a single coil RDA, and is the follow-up successor to the wildly successful Drop RDA. A collaboration between Digiflavor and The Vapor Chronicles, the Drop Solo is 22mm in diameter and retains the same gorgeous look as the original. The build deck consists of two large posts. The two large terminals allow you to simply drop in your leads, and secure them from the sides. The airflow on the Drop Solo is fully adjustable, and made up of 10 small holes in the shape of a ‘T’. By turning the top cap, you can go from one hole open to all ten holes open, or anything in between. The Drop Solo has a 5mm deep juice well. Also included with the Drop Solo are PMMA top and mid caps, which allow you to change both its look and performance. The PMMA caps shorten the Drop Solo, and have fewer air holes for a more dense and flavorful draw. You get a standard 510 pin, as well as a bottom feeding 510 squonk pin with the Drop Solo. You also get two drip tips. One short and wide bore, and one tall and wide bore drip tip. The Drop Solo comes in three beautiful colors, and is definitely one to check out. A single coil RDA, the Geekvape Ammit is designed for mouth to lung vaping. At just 22mm in diameter, the Ammit RDAs small size helps to concentrate and enhance the flavor of your draws. The build deck consists of two posts, each with a single terminal. On the Ammit, your screws are secured from the top. The airflow is the hallmark feature of the Ammit RDA because it can be configured in twelve different ways. There is one large airflow port on one side of the tank for more airy draws, and one smaller airflow port for more restricted draws. With the Ammit, even the pickiest MTL vaper will find a setting that satisfies them. The juice well on the Ammit MTL RDA is very deep at 9mm, and this means that you can drip or squonk without the worry of leaking. There are also three MTL drip tips included with the Ammit, so that you can find the one that suits you the best. Over the last year, the Oumier Wasp Nano has held its own and solidified its place as one of the best single coil RDAs available. The small body of the Wasp Nano helps to concentrate your vapor, which means you get very dense and flavorful hits. The drip tip is one piece with the body of the Wasp Nano, and is conically shaped and wide bore. The Wasp Nano is meant for simple single coil builds, so larger complex builds may not fit. But the Wasp Nano makes up for this with its performance. On the build deck there are two posts, each with a single terminal opening for your leads. The juice well on the Wasp Nano is 5ml, which means dripping and squonking without worry. The airflow on the Wasp Nano RDA consists of two large airflow slots; one on each side of the top cap. These airflow slots line up with your posts, and will funnel air directly to your coil. This airflow design, paired with the small chamber design of the Wasp Nano are the main reasons why this is known as one of the best flavor RDAs 2019. Of course, the Wasp Nano RDA also includes a bottom feeding 510 squonk pin. When used to squonk, the Wasp Nano delivers stellar performance all while giving you maximum flavor and great clouds. The compact design and light weight of the Wasp Nano is also nice. Most box mods are heavy enough on their own! If you’re looking for the absolute best mesh coil RDA available, look no further than the Wotofo Profile RDA. A collaboration between Wotofo and Mr.JustRight1, this RDA was created with a focus on bringing out the best flavor possible from a mesh build deck. The deck has two posts, which clamp down to ensure a strong connection with any type of build. While meant to use mesh, the Profile RDA will work great with any type of coil. The airflow on the Profile RDA consists of a series of small holes on each side of the cap. The airflow is fully adjustable to your preference, and the beehive style top cap forces in air from the side inlets, and straight onto your coil. Vandy Vape are one of the most innovative companies in the vaping industry. So it should come as no surprise that the Mesh RDA brings some new and exciting features. For starters, the Mesh RDA has a postless, clamp-style deck that is super easy to build on, and will accommodate either single or dual coil builds. The Mesh is 24mm in diameter, and comes in a variety of colors. But perhaps most exciting is the fact that the Mesh is capable of being used with mesh coils. Kanthal, Ni200, and SS mesh wire is included with the RDA, so you can try it out right away too. Mesh coils are said to provide a better and more intense flavor due to the increased surface area of the coils, and the Mesh RDA gives users an easy way to try it out. If you’re not one for mesh coils, standard coils work wonderfully on the Mesh, so that shouldn’t stop you from picking one up. The build deck is as simple as can be with the postless clamp style, and installing your coils is a breeze. The airflow control on the Mesh RDA consists of two wide airflow slots which are fully adjustable to your preference. Also, the Mesh includes both a standard 510 pin, as well as a bottom feeding squonk pin. The 2+1 is an all new RDA by RFG Vape. The 2+1 RDA’s body is made completely of resin, but it also comes with stainless steel body caps as well. What’s special about this RDA is that it is able to use either regular coils or mesh coils. And if you’re feeling particularly crazy, you can even use both at the same time. The build deck on the 2+1 RDA is gold plated for better conductivity, and has 4 posts for regular coils. It also has two clamps on the inner portion of the deck for securing your mesh coils. The airflow on the 2+1 RDA is particularly interesting, as it has both top and bottom airflow. The top airflow control ring consists of three large slots, and is fully adjustable. The mid cap also has three airflow slots, and these can be adjusted for a more open or closed draw as well. You get two different drip tips with the 2+1 RDA, a resin conical drip tip, and a more narrow style drip tip. If you’re looking for an extremely versatile flavor rda for mesh, check out the 2+1. RDA stands for Rebuildable Dripping Atomizer, and is a type of ‘tank’ that you see on the top of vape mods. RDAs don’t actually have a tank, but rather have a ‘juice well’ in which a small amount of juice can collect. An RDAs main purpose is to allow the vaper to ‘drip’ a small amount of juice directly onto the coil and wick, and provide around a dozen draws. There are a number of benefits over a traditional atomizer and tank setup. Because the coils of an RDA are closer in proximity to the drip tip(where you inhale), RDAs produce a stronger, more intense flavor. This flavor enhancement is also because of how open the coils are versus the more closed-in coils of a traditional refillable tank. This is especially true in top airflow RDAs. RDAs are known for their ability to produce massive cloud of vapor, and are a favorite in the vaping community for this reason. This is again due in part to the coil being very open to airflow. RDAs can chuck some serious clouds. 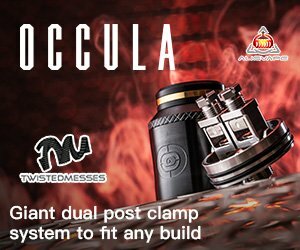 You should build your own coils with an RDA (you can buy premade coils, but building is fun and is much cheaper!) and there are a number of benefits to this. Importantly, it’s much cheaper than buying coils for refillable tanks. With a little bit of learning, you’ll be making coils like a pro (be sure to practice proper battery and coil safety precautions)! Because you can build your own coils with RDAs, you have a wide-range of options. You can do single or multiple coil builds, straight coils, twisted coils, clapton coils, and many many more. There are dozens of different styles of coils that can be made, and they arguably can produce better flavor and cloud production. Most importantly you can choose your number of wraps and your wire gauge, and thus your desired resistance for your coil. If you’re looking to completely personalize your vaping experience, an RDA is for you. If you’re looking to buy an RDA, we hope that our list of the best RDAs in 2019 has helped you make that decision! Each and every one of these RDAs on our list has been selected because of their rating among users, flavor intensity, customizability, and cloud production. At Versed Vaper, we strive to produce incredible content that helps you to be more informed in your purchases, and we hope that you learned something that you didn’t know! The fact that the Drop is not mentioned makes your list of “best rda’s” null and void. ?? We had included the Drop in our list of Best Squonk RDA’s , but we somehow overlooked adding it to this main list. Thanks for pointing that out, we’ve updated and corrected our list. So where’s the GOON RDA? Top 1 in 99.99% of RDA reviews and not even in your top 5?